1 How do I embed a PDF file in blogger? There could be many reasons to embed or upload a PDF file on your blog posts in blogger. But unfortunately, blogger doesn’t provide any gadgets to upload a PDF file to your blog. 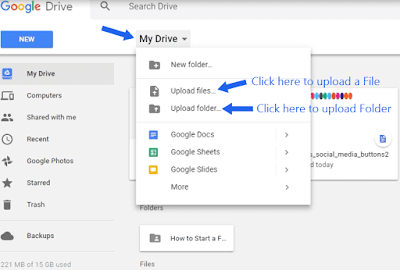 So, to make it happen, we can take the help of Google Drive to upload the PDF files on your blog. First, we need to create a PDF file and then we have to manually upload the file to your Google Drive account. Once the file is been successfully uploaded, you are allowed to embed the PDF file on your blog. How do I embed a PDF file in blogger? There are several options available to upload the PDF files on blogger blogs. There are no doubts that Google Drive is the number one files uploading and downloading site with 15 GB free storage for every Gmail accounts, and the best part is that it does allow to easily embed PDF file on your blog. All you need is a working Gmail account and you are on! In our previous posts, we have shown the way to embed Social Media Posts and PDF files into a blog post. So, we have decided to create a new tutorial for adding the PDF files to your blogger posts. For your ease, we have decided to show you 2 methods for uploading PDF files on your site with the help of Google Drive. 1. 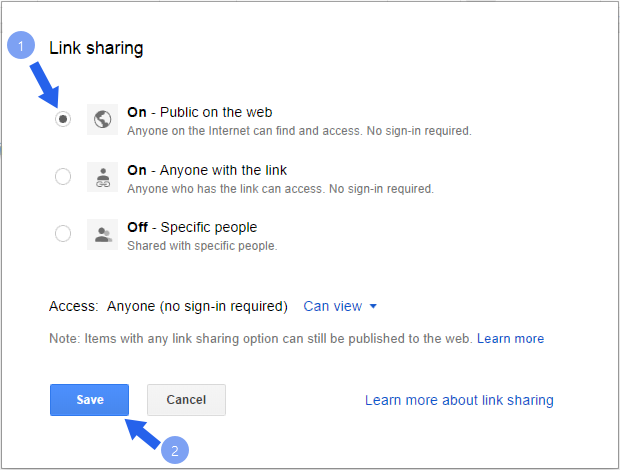 Go to Google Drive website and login with your existing Gmail account. 2. Open the document you want to embed or upload your existing document to Drive. To upload a file or folder, click on “My Drive” and choose whether you want to upload a single file or a folder with files. 3. Select the file you want to upload and click open. Now, the file will automatically start uploading. 4. After uploading the file, open the file, go to more option & hit the “Share” button on the right side of your file. 5. Click “Advanced” and then hit the “Change” button to change the access to your document. 6. Select “On- Public on the Web” and click Save > Done. 7. Click on “more options in the 3 dots”, and hit “open in a new window” button. 9. Now a popup box will appear with the embed code, copy the code & paste it into your blog posts. If you are getting difficulties while embedding the PDF file through above method, then you can also try it manually in your post by using the drive URL of your uploaded PDF file and Iframe. Normally an Iframe contains an opening tag <Iframe>, height, width and the closing tag </Iframe>. Here’s the format. All you need to do is follow the above steps to step 6 because we need to allow the post to get accessed by everyone. After that copy the URL of your PDF file from the link tab and paste in the Iframe code. Insert width and height according to your theme size and you are all set. 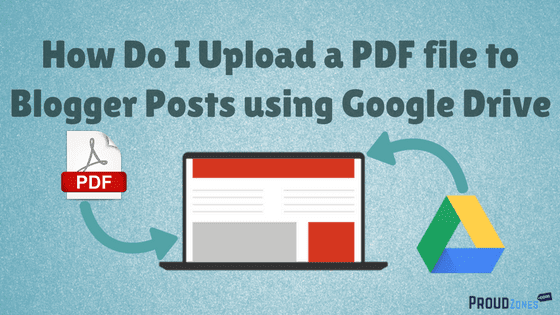 Uploading PDF file to your blogger posts can be very easy if you know the right way to do it. Just follow the simple steps carefully, without making any mistakes. Need help? Ask me anything in the comment box down below & if you enjoyed this post, then share it with on Social Media sites.